From the undisputed master of the short story, George Saunders, comes a dazzling and disturbing new collection. His most wryly hilarious work to date, Tenth of December illuminates human experience and explores figures lost in a labyrinth of troubling preoccupations. A family member recollects a backyard pole dressed for all occasions; Divisional Director Todd Birnie sends round a memo to employees he thinks need some inspiration; Jeff faces horrifying ultimatums and the prospect of Darkenfloxx' in some unusual drug trials; and in an auction of local celebrities Al Roosten hides his own internal monologue behind a winning smile that he hopes will make him popular. Although, as a young boy discovers, sometimes the voices fade and all you are left with is a frozen hill on a cold day in December. 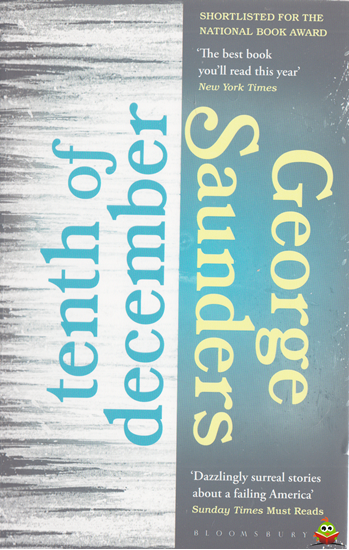 . . With dark visions of the future riffing against ghosts of the past and the ever-settling present, Tenth of December sings with astonishing charm and intensity, and re-affirms Saunders as one of our greatest living storytellers.